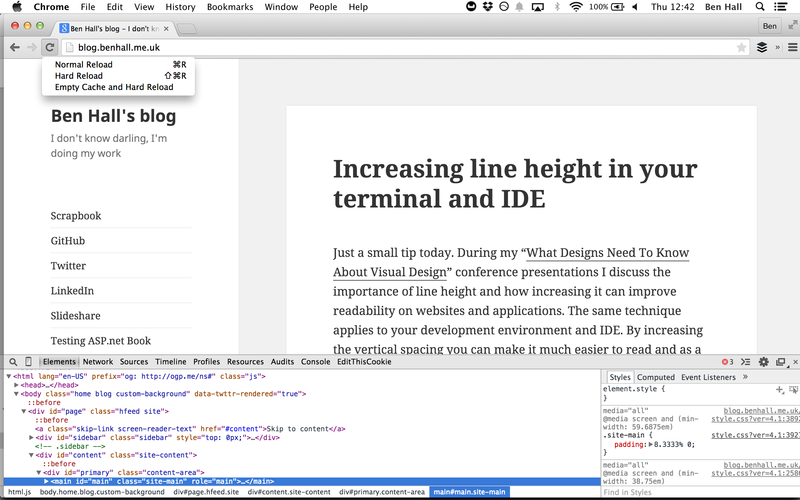 To make life easier, with the Dev Tools open in Chrome, click and hold the Reload menu item. A new dropdown will appear allowing you to Empty Cache and Hard Reload the page. Wow, wish I knew about this 5 years ago! Thanks! Next Next post: Certain Cloudflare IP Addresses Blocked By Sky Broadband’s Adult Block List?